After you pass away, the first job of your succession representative is to submit your will to the court. If you executed the will in the presence of a notary, it is considered "self-proved," and does not usually require witnesses to testify to its validity. 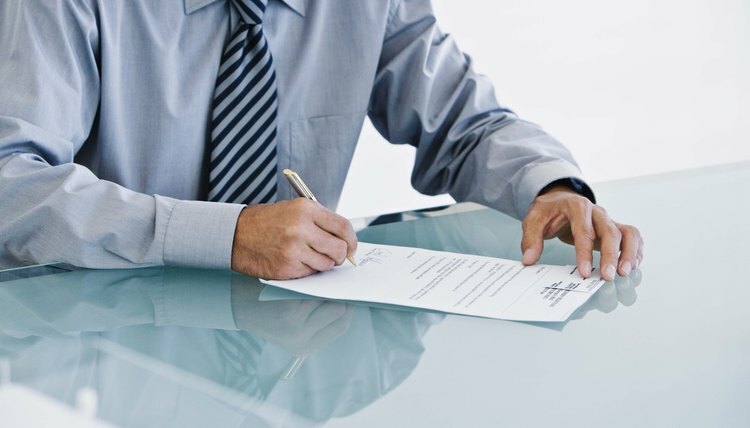 If the will is in your handwriting, it can be valid but will require two witnesses to testify that the will meets the legal requirements, typically in the form of written affidavits. If a judge concludes that the will is valid, your succession representative will be called upon to serve in either the standard succession process or an independent administration, if you requested this in the will. The main difference is that standard succession is heavily court-supervised, while an independent administration does not require nearly as much court approval and can be less time consuming and expensive. If your will is declared invalid, or there is no will, the court will appoint a succession representative. Once the validity of the will has been established and it's accepted by the court, the next job of your succession representative is to determine what property of yours is subject to succession and what is considered non-succession property. Non-succession property passes automatically upon your death, and includes real estate owned as joint tenants or tenants by the entirety, payable on death accounts, property in trusts and life insurance proceeds. All other property is generally subject to the succession procedure. Your succession representative is required to inventory the property, determine its value, open a bank account for your money, and make an annual accounting to your heirs and the court of all transactions made regarding your property. Your representative may sell or invest assets, but only after court approval, unless your will provided for an independent administration. Once the estate has been valued, the next step is to pay all outstanding debts and taxes. This is typically done by sending written notice to all known creditors and publishing notice in a local newspaper to allow unknown creditors to come forward with their claims. Louisiana requires court approval for the payment of debts and the sale of assets, unless you provide the representative with the authority to act independently. Unlike many states, Louisiana law does not provide a legal time frame within which creditors must collect before they are barred. However, heirs that have received inherited property are free from personal liability to creditors that come forward after the court-approved succession process has completed. Once claims have been paid, your representative will then seek court approval for distribution of your remaining property according to your wishes under the will. This is accomplished through a court order, referred to as a judgment of possession, which is essentially a list of all property and heirs who are entitled to receive it. Ownership will not change hands until your representative presents a final accounting showing all debts and costs paid, as well as the payment of reasonable compensation for the representative's services. This is typically the last duty of the representative and once the property is transferred to the heirs, the succession process is considered closed.